Old pound coins: Do you have rare £1 selling for TWENTY times its value in YOUR wallet? Old style British pound coins will cease to be legal tender from 15th October 2017, but before you hurry to spend them all, it is worth checking if the ones in your wallet are worth anything. 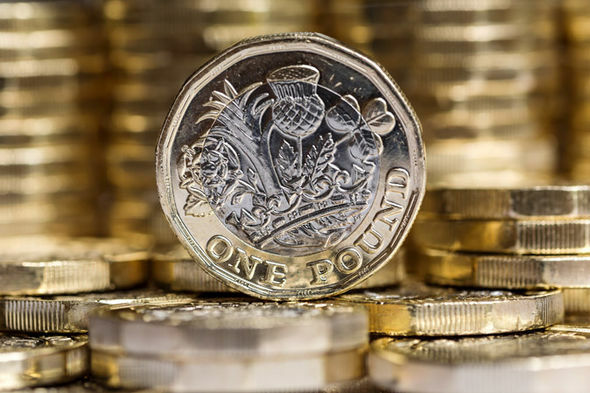 The value of old round pounds is riding high at the moment as collectors try and complete a full set before they are pulled out of circulation for the new pound coin.There are 24 designs available, and certain coins are worth far more than others. One in particular holds a good value, and is selling on eBay for up to twenty times what it is worth. The Cardiff City £1 is the one to look out for, as it is being sold on eBay for up to £20. The coin was first released in 2011 and has a mintage figure of 1.6million, making it the second most sought-after coin.It depicts the circular coat of arms of Cardiff, the capital city of Wales. There are coins for each of the capital cities, with Edinburgh being the rarest coin. Only 935,000 of these were minted, and it was released in 2011. Not everyone has been savvy enough to hold on to this or other coins, with more than a billion round pounds returned to cash centres since the new 12-sided coins launched. But if you do think you have a valuable coin in your wallet, there is a way to check its legitimacy.The Royal Mint can tell if your coin is legitimate and not a counterfeit, although they don’t do valuations. However they have said they would consider introducing this service due to growing demand from customers.